Have you made any of these common negotiating mistakes lately? This is both the most common and most deadly negotiating mistake. If you’re not willing to walk away from the deal, you’ve already lost. Your willingness to walk away is your greatest source of power in any negotiation. Do you—like many people—hate negotiating? Does it make you uncomfortable? Do you do whatever it takes to avoid it? Then you need an attitude reset. 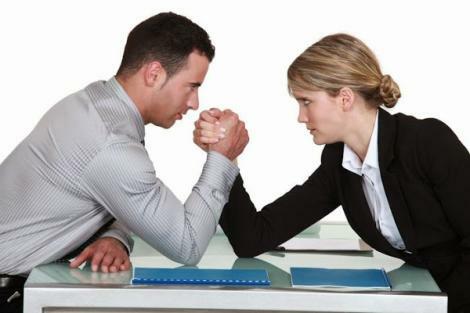 Negotiating is not about fighting or conflict or seeing who can screw over the other side more. It’s about working together to create an outcome that’s beneficial for both parties. It can be challenging, but it can also be fun and invigorating. Too many salespeople don’t appreciate the full value of their own products and services. As a result, they often ask for too little or they agree to a low-ball first offer—both of which hurt profits. Whoever has more information in a negotiation has an advantage. How much do you know about your buyer? What are their goals and dreams? What are their concerns and fears? What are their values and priorities? What pressures and deadlines are they dealing with? What is your product or service really worth to them? What options do they have besides buying from you? While it’s natural to try to resolve one issue before moving on to another, it’s also easy to get stuck that way. Look at the whole picture. Often you can trade one issue for another, thus resolving two at once. When you make a concession without getting one in return, you encourage your buyer to ask for more. If there’s no cost to them, why shouldn’t they ask? Which opens you up to losing more and more on the deal. Always, always, always require a concession from your buyer in exchange for a concession from you. Fortunately, each of these mistakes is relatively easy to correct and thus avoid in the future. Awareness is a big part of each one. Practice negotiating in low-stakes situations to get more comfortable, gain confidence, and hone your skills. That way, when the pressure is on, you won’t make any of these mistakes, earning you more sales and more profits. Great article. Easy, but sometimes not so easy. Nice article! Negotiating is like a game, it needs strategy – moves should be properly considered to ensure winning. Personally, I will add “not building a relationship first.” You first need to make connections with people particularly those who will be in the negotiating process. In every game, you should know your opponent and how they move. This is so you will know how to counteract them and make a winning move.